Evidence Required: a clear and comprehensive referenced list of sources for your research that have been referenced. These could include journals, books, periodicals, online sources, galleries, exhibitions, interviews. “Andy Warhol and the 1960’S.”Creighton University BSCW. N.p., n.d. Web. 23 Feb. 2012. <http://puffin.creighton.edu/museums/. “Art History – Famous Artists – Master Index.” Contemporary Art – World Wide Arts Resources – absolutearts.com. N.p., n.d. Web. 23 Feb. 2012. <http://wwar.com/artists/&gt;. Avedon, Richard. Avedon: Photographs 1947-1977. 1. ed. New York: Farrar, Strauss & Giroux, 1978. Print. Avedon, Richard, Jane Livingston, Adam Gopnik, and Mary Shanahan.Evidence, 1944-1994. New York: Random House, Eastman Kodak Professional Imaging in association with the Whitney Museum of American Art, 1994. Print. “Britain In the 1960s.” Britain Since the 1930s. Mandy Barrow, n.d. Web. 23 Feb. 2012. <http://www.woodlands-junior.kent.sch.uk/homework/war/1960. “ERNST HAAS ESTATE .” ERNST HAAS ESTATE . N.p., n.d. Web. 23 Feb. 2012. <http://www.ernst-haas.com/&gt;. Haas, Ernst, and Ruth A. Peltason.Ernst Haas color photography. New York: H.N. Abrams, 1989. Print. Haas, Ernst, Jim Hughes, and Alexander Haas. Ernst Haas in black and white. Boston: Bulfinch Press Book, 1992. Print. “Les Grands Gestes Olympiques,” PARIS-MATCH, no. 594 (August 27, 1960), pp. 28-37. O’Callaghan, B (1987). A History of the Twentieth Century. USA: Longman Inc.. 97-136. 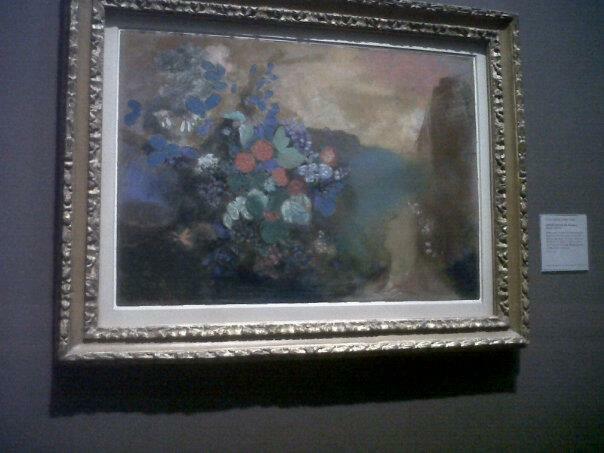 Redon, O (1905-08). Ophelia Among the Flowers. National Art Gallery: London. 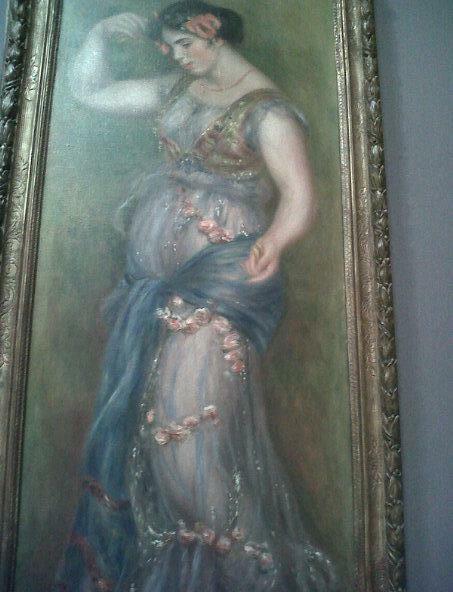 Renoir, Pierre A (1909). Dancing Girl with Castanets. National Art Gallery: London. Rosenberg, J. (n.d) http://history1900s.about.com/od/timelines/tp/1950timeline.htm . Rubin, Goldman S (2006). Andy Worhol: Pop Art Painter. USA: Anonymous. “THE RICHARD AVEDON FOUNDATION.” THE RICHARD AVEDON FOUNDATION. N.p., n.d. Web. 23 Feb. 2012. <http://www.richardavedon.com/&gt;. “Twentieth Century Painting.” Mark Johnson . N.p., n.d. Web. 23 Feb. 2012. <http://www.arthistory-famousartists-paintings.com/TwentiethCenturyPainting. I researched online for most of my work to start with, this including things such as the whole of the 20th Century, famous painters, famous photographers, special events and each decade thoroughly until I knew which I were to settle on. After figuring out my painter and photographer, I searched into this in a lot of detail, this included looking at their own personal websites which gave me external links to things such as exhibitions, journals, galleries and even more popular… books. When I was able to find a book which seemed interesting and related to my topic I would then see if I could find it online and then read it on there, and if it was not available, search the libraries online catalogue which Barbara Price showed us how to use, this therefore enabled me to find the book I wanted on the shelf in one of the campuses or even read it online. As well as looking at all these different pieces of research, I also visited the National Art Gallery in London to see if there was anything else I was able to find, I didn’t find much on the 20th Century, but there were a few paintings which I found and photographed discretely (look below). Although the paintings were quite expressive, I didn’t quite think they told enough of a story or showed enough expression to promote the 20th Century so therefore I did not settle with these two Painters.